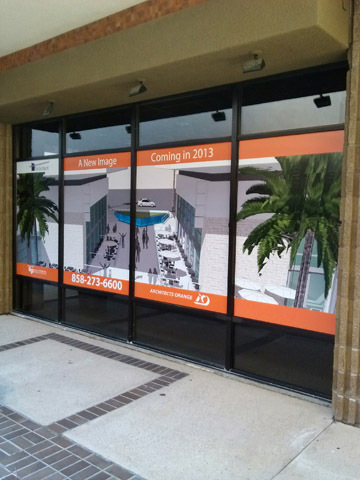 Window graphics are a surprisingly affordable and effective way to attract shoppers. Decals add dimension that embellish your window displays. Brightly colored full block-out window graphics create an attractive mural that can hide construction or promote product and sales. Window static clings are reusable and can be applied to any glass surface without leaving an adhesive residue. Pick the substrate that works best for you; static cling, window perforation, or adhesive.